Round Four, Forming the Final Four. This is the most important round, because it determined the champion of each individual region. 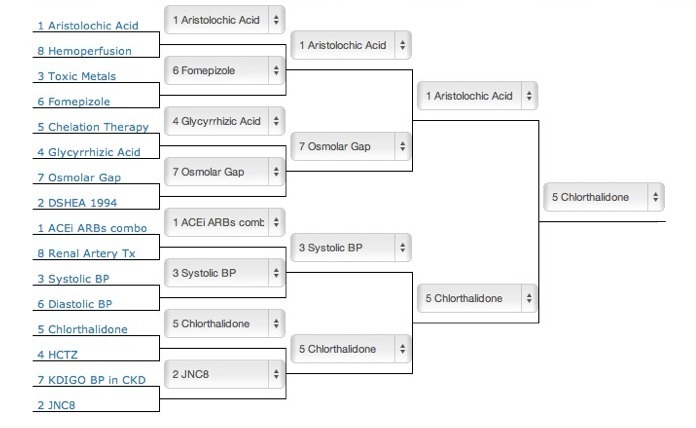 The Game Makers also had a final four matchup of Aristolochic Acid versus JNC8 and the people agreed with the Game Makers and had JNC8 advance. Perfect agreement. Bioartificial kidney continued to be the People’s Choice, but Urgent PD, the Game Makers choice, did finish a respectable third. EMT has the first goose egg in the tournament. 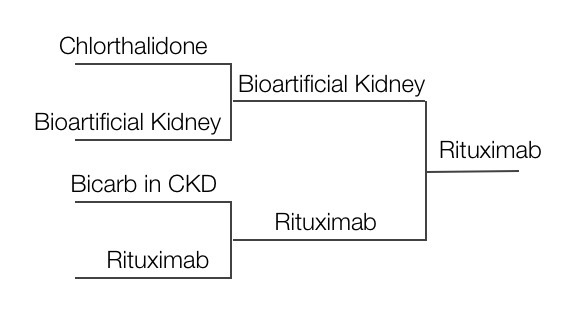 The popular vote pitted Contrast Nephropathy against Bicarb in CKD rather than the Game Makers, Balanced Solutions against Bicarb in CKD. 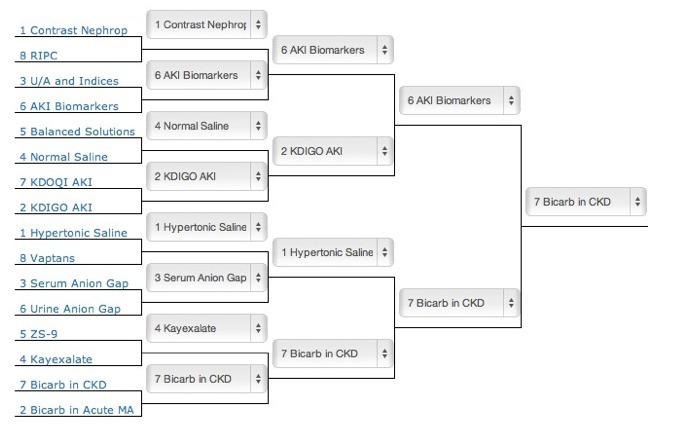 The people wanted Bicarb in CKD, we picked Balanced solutions. Both of them are waiting for definitive studies to decide their actual fate. Bioartificial kidney continued to be the People’s Choice, but JNC8, the Game Makers choice, did finish third. 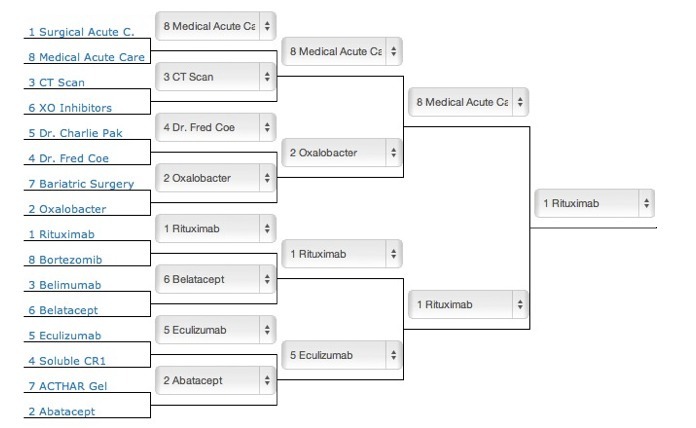 The crowd loves Rituximab, the most popular winner in the final four. 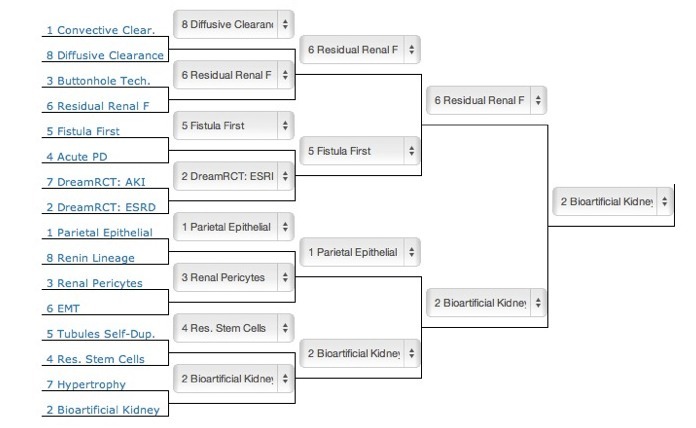 Rituximab wins the popularity contest over Bioartificial kidney. 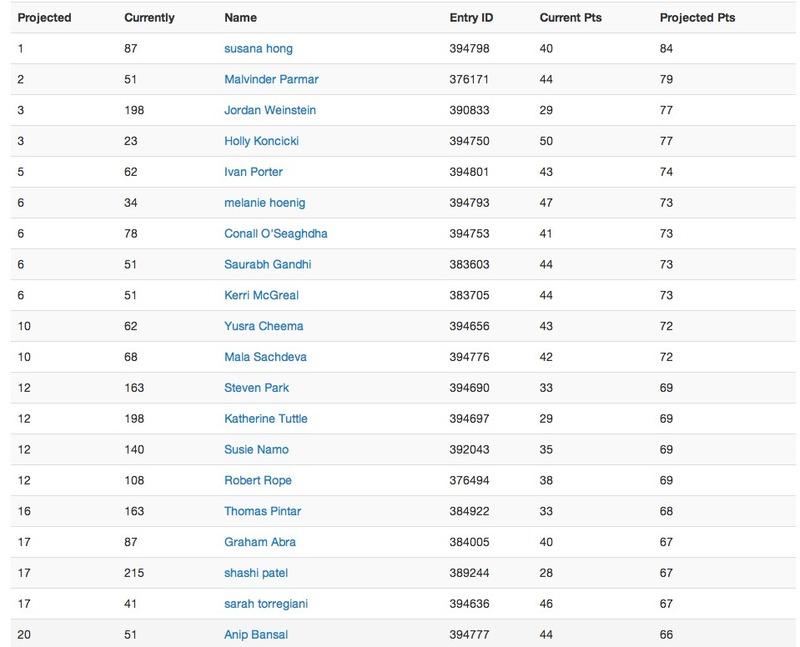 The leader board in this alternative universe also looks completely different with Susana Hong crushing the competition with 84 points (the actual contest winner, Carlos Machado, accrued only 63 points).